Robotic Process Automation has made its mark as a prominent technology in recent years. 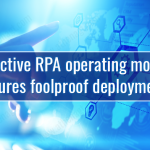 Enterprises are inclined towards RPA as it streamlines operations and reduces costs with no complexity. Apart from its benefits like human imitation, virtual system integration, automation of repetitive tasks and reduce costs a few unique features make this technology trending in 2019. Features like faster ROI, lower upfront costs, uninterrupted underlying systems, high scalability, and modification based on business goals makes this technology one among the popular ones. Wi-Fi 6 is the latest version and is scheduled for release in 2019. Wi-Fi is the most popular ways to connect to the internet because of its speed, reliability, and ability to connect to more number of devices. Wi-Fi 6 is the nextgen technology which is four times faster than the present version. Along with speed, it comes with better performance in congested areas, wider channels, and other technical improvements. Wi-Fi 6 is capable of supporting further innovations of smart buildings. According to research the wearable tech market continues to grow in 2019. In 2018, around 84 million units were shipped and it is expected to reach 245 million in the next five years. Fitness bands and smartwatches will prevail to be popular in the industry. A report says that the wearable market is expected to be worth $25 billion by 2019. Wearable technology will not limit itself only to wrists. It will expand into clothing and other aspects of our lives as well. Chatbots are being integrated into both chat and voice assistance platforms. This is changing the face of customer interaction. Future of conversational AI will be in voice-based applications. Chatbots along with virtual reality and augmented reality will change the environment around. It makes customer interactions interactive, and immersive. This technology works on more automated interactions focusing on effective conversations and personalization for enriched customer experiences. The revolution of smart spaces gives us the advantage of remote, digitally enabled and flexible work experience. Organizations will look forward to spaces that can adapt to their continuous developments and requirements. This technology trend continues to be experimental and helps us discover innovative smart applications. Property owners will utilize the technology and create workspaces that are suitable to organizations occupying those workspaces. Advancements in this segment are going to be adoption-driven. Solutions to the majority of the existing working space challenges can be found by converting those places into smart spaces. AI gets more transparent in 2019. 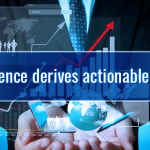 This gives enterprises more actionable insights in real-time. AI will be designed to understand decision making, conclusions, and data pattern connections. People will be using AI assistants more than ever in their lives from planning events to ordering t-shirts. 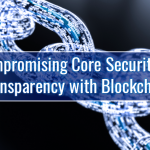 Blockchain technology pushed its boundaries from cryptocurrencies to many useful business implementations. Since Blockchain resolves various business challenges, we will get to see many projects lined up using the technology in 2019. Almost every industry will try to make use of this potential technology. It will create a number of decentralized organizations than before. Its Interoperability will significantly improve. 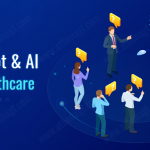 How Chatbots can reconstruct the Healthcare industry? 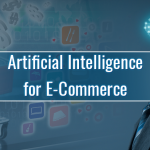 How Artificial Intelligence can transform the E-Commerce industry for better? Athena Global Technologies Limited is a global provider of outsourced offshore software development and testing services providing high quality cost effective solutions to small and large enterprises.